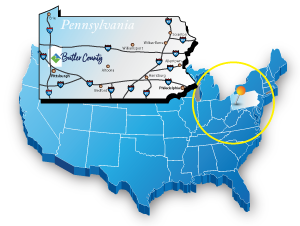 Welcome to Butler County, Pennsylvania | Visit Butler County Pennsylvania! We are a relatively rural county in the northeastern United States with plenty of treasures to offer! Read on to discover what is in store for you when you visit! 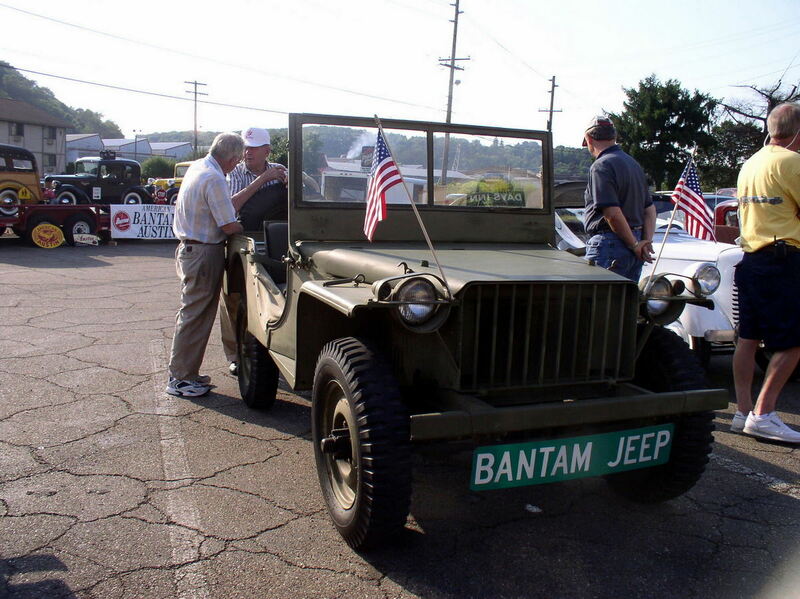 The jeep was created and developed in Butler, in cooperation with the U.S. Army as the first “general purpose” vehicle for the Armed Forces. Combining history and art, the Maridon Museum displays ancient Asian art and German Meissen porcelain. Other forms of art are popular throughout the county from music to theater to visual arts. Browse an art gallery, enjoy a concert, engage in a show or actually create art yourself. Artistic beauty can be found in the architecture, as well. A great example of this is Butler, our county seat, which has interesting and historic buildings all within walking distance of one another. On the opposite end of the spectrum is Cranberry Twp. This area is just 20 minutes from downtown Pittsburgh and is rapidly growing. Our typical small towns like Slippery Rock and Mars each hold their own quirky treasures and special events. Some of our biggest and most popular events include the Big Butler Fair, which has been around for over 150 years and the North Washington Rodeo, kickin' around for over 50 years. There are also plenty of events outside the towns – educational programs, a regatta, guided hikes and more. One of the best things to do while you’re here is get out! We’re home to Moraine State Park, one of Pennsylvania's top state parks, where you can do just about any outdoor activity possible, from geocaching to horseback riding; boating to ice fishing. There are plenty of parks and trails for hiking, biking and wildlife watching; and we’ve got the only protected prairie in this part of the state. With Butler County’s temperate climate, there’s a different treasure for each season. Cold-weather sports, fall foliage, wildflowers, golfing, baseball… the list goes on. If all of this intrigues you, we hope you plan a visit! We’ve got a calendar of events, itineraries, an interactive map and even coupons to help you out. You can even access the webpage from your iPhone! Please call us if you need anything, we’ll be more than happy to help. Hope to see you soon!